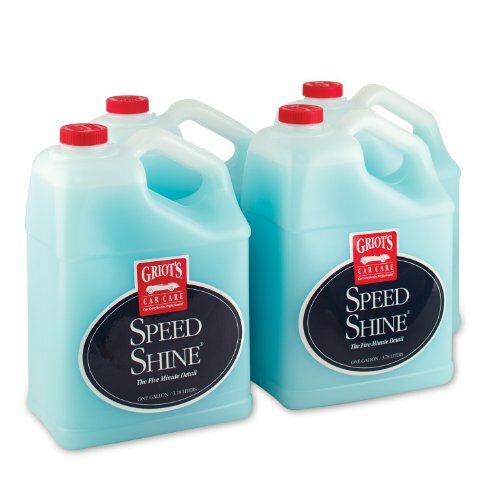 Speed Shine is the finest spray and wipe cleaner and detailer available, and is the most popular Griot’s Garage product. It's a fast, safe way to keep any painted surface clean and brilliant. A perfect between-washes cleaner for your vehicles. A quick mist and light toweling removes dust and other foreign residue, leaving behind a brilliant surface. Forget about the puddle you just drove through, the dust cloud that landed on your paint or the bird that picked your car to relieve itself on. Keep Speed Shine in your trunk to remove bird droppings as quickly as possible, before they etch the paint. The best part is that it only takes a few minutes to detail your entire car. Special lubricants prevent dirt and dust from scratching your paint's surface as you wipe it clean. Perfect for all paints, clear coats, wheels, chrome and exterior plastic trim. Extends time between washes.